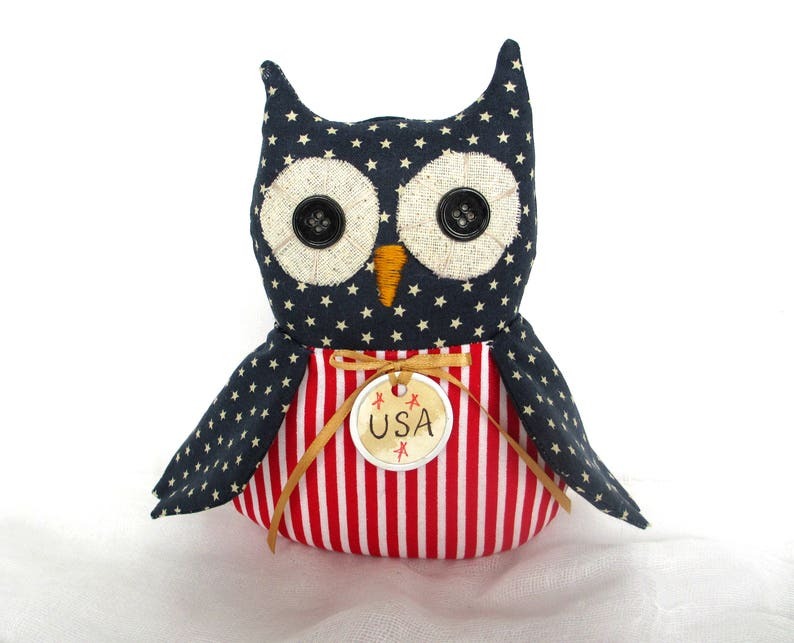 An adorable Patriotic hoot owl for any Patriotic holiday. He would be a perfect focal point for a table centerpiece. 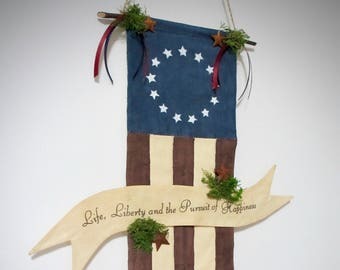 Made from patriotic cottons, he has been weighted to stand freely. His eyes are stiffened osnaburg fabric which have been hand sewn and black buttons. 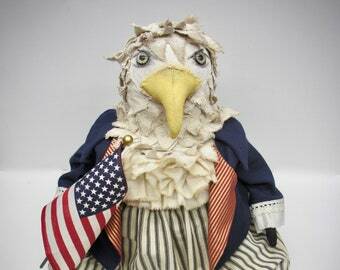 His beak is hand stitched. Finishing this little guy is a tag with USA and a gold bow.